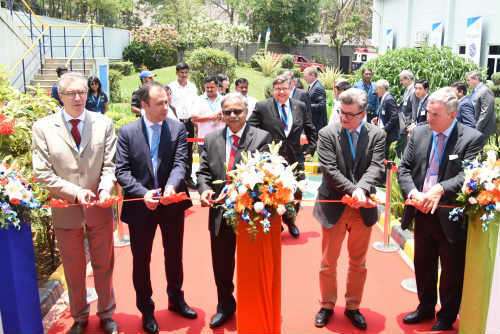 Bangalore: John Crane, a US-based global leader in rotating equipment solutions and engineered technologies and services, inaugurated an upgraded state-of-the-art gas seal repair and test facility in Bengaluru today. John Crane was established in India in 1995 at Chennai. It set up its Bangalore facility in February 2006. The gas seal facility was launched in April 2007 for testing low-pressure seals. The new upgraded facility will test higher pressure, size and RPM, catering to market demands in the coming years. Mr Rajeev Patwardhan, India Head, John Crane India, said, “We decided to significantly increase our presence in India because of the local opportunities forecasted in the oil and gas sector in the coming years.” John Crane also inaugurated a seminar on the latest trends in gas seal technology. Chicago-headquartered John Crane over the years the company has developed dozens of revolutionary products and processes, including the first automotive mechanical seal; the end-face, elastomer bellows shaft seal; seals for high-pressure and corrosive applications; and non-contacting technology for pumps handling environmentally hazardous liquids. By pioneering the development of gas seals in the late 1960s and into the 1970s, John Crane revolutionized the performance of modern day centrifugal compressors. Today the company is the market leader in mechanical seals for pumps and compressors, and a trusted source for optimizing the reliable and continuous performance of mission-critical rotating equipment across all process industries. John Crane India has a workforce of 350 employees.